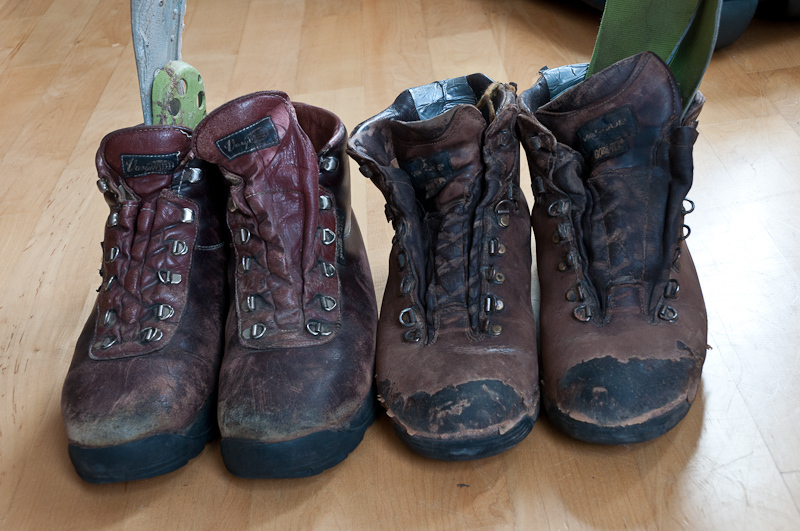 Above are my two pairs of hiking boots. 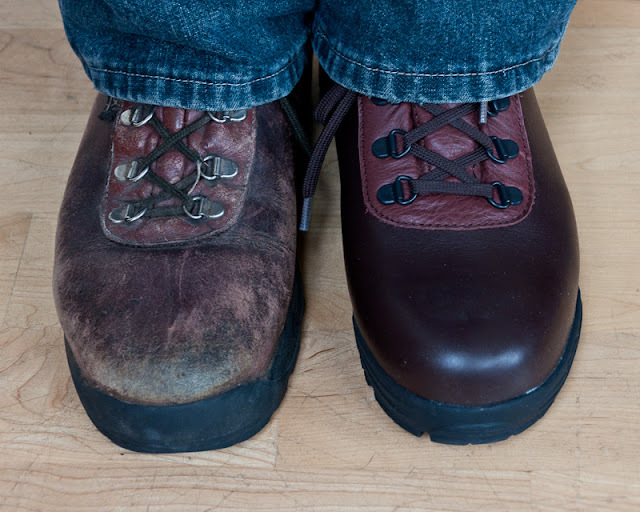 The one on the left has been resoled once and desperately needs it a second time. The insoles are falling apart. It has large cracks in the leather. The double seams in the heel are blowing out. The pair on the right has all the same problems, plus the inner is falling apart (note duct tape) and it’s been resoled at least twice. I believe the two pairs are 10 and 11 years old, respectively. So, time for some new boots. I agonized for several days about whether to buy another pair of Sundowners or try something new. Laziness won out. I do like the Sundowners a lot. REI doesn’t carry them any more, but Zappos does. Hopefully they will last another decade!